Supreme Court (SC) Chief Justice Mian Saqib Nisar issued show cause notice to TV anchor Arshad Sharif today. CJP Saqib Nisar issued show cause notice to Arshad Sharif who host talk show “Power Play” on ARY News. 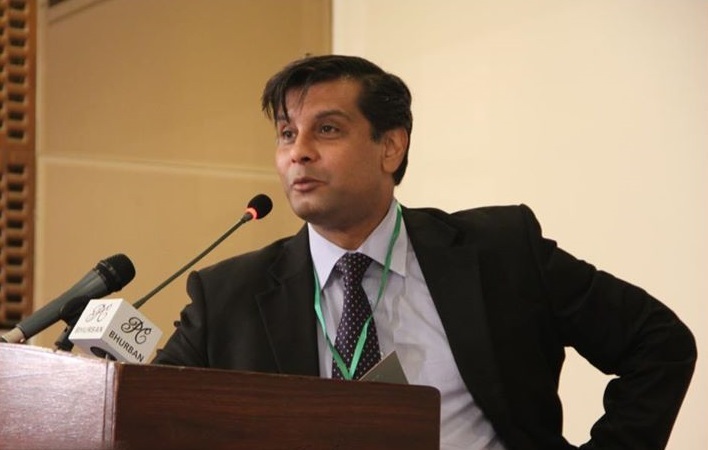 Saqib Nisar led the three member bench that taken the suo motu notice regarding the show hosted by Arshad Sharif. In Yesterday’s episode, the anchor discussed assets declaration affidavit submitted by Asif Ali Zardari. Arshad Sharif raised the question that whether Asif Ali Zardari submit a false affidavit in the NRO (National Recon­ciliation Ordinance). However, he along with Information Minister Fawad Chaudhry was taken to task by CJP for discussing that case. CJP Saqib Nisar inquired that how the anchor can discuss cases being heard in courts on his TV show. He also recalled that the court also advised the National Accountability Bureau (NAB) against intentionally or inadvertently defaming individuals. Later, CJP Saqib Nisar issued notice to the TV anchor and Pakistan Electronic Media Regulatory Authority (PEMRA). In addition, court also issued notices to Pakistan Broadcasters Association and attorney general. The case hearing now adjourned till September 12.